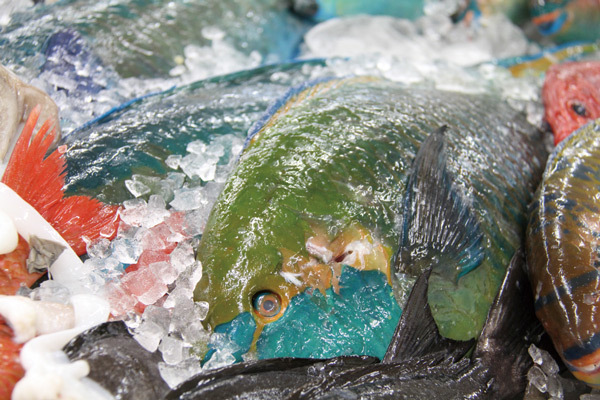 Knobsnout parrotfish, called Irabucha in Okinawan dialect, is a colorful mostly blue fish that often surprises tourists from mainland Japan by its bright, colorful appearance, and also that people in Okinawa actually eat this very tropical looking fish. Irabucha has very strong teeth and a large specimen is able to bite off a human finger. It’s also a potential source of food poisoning if a person eats its internal parts.